A free tool that allows you to control how your business appears on Google Maps and Google search results? Yes, this is Google My Business (GMB). While small businesses shouldn’t just pay attention to Google and Google alone, this search giant has over 40,000 searches per second on average. Being smart with Google is a powerful business move. In the wake of the death of Google Plus, savvy small business strategy with Google is as important as ever. You could say Local SEO starts here. 50% of people who search for a local business on their smartphone will visit that business that day. These are people primed to make a purchase if they only find what they’re looking for. Make sure you are doing everything possible to allow that searcher to find you. 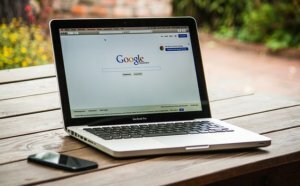 What should a small business do with Google My Business? Set your location, hours, and contact information. This is the information that will show up in Google Maps and on search results pages. Make sure you aren’t giving a potential customer any wrong information that will make you lose a sale. Think about the search terms a possible customer might use. Be sure to use these words in your description and in other areas where you list your business details. Specificity helps. This makes you stand out, and it enables your business to be a good fit with many different search queries. Add photos. According to Google, business listings with photos have 35% more clicks onto their website and 42% higher requests for driving directions. This is a piece many businesses overlook, but it enables a more complex, personalized vision of your company. Why not let your visitors get to know you, your services, your specialties, and so much more through pictures. Encourage customers to leave reviews and respond positively when they do. When searchers see your appreciative attitude, their good impression of you will only expand. They might even be tempted to leave a review of their own. Of course, in the case of bad reviews, this is not the place to be emotional, defensive, or otherwise unprofessional. That will reflect on you in other ways best to be avoided. What should local SEO goals be? The Google Local 3-Pack – This is the quick-view, top three answers provided at the top of your search results, and these business often are displayed with easy-to-use links for calling, getting directions, or visiting a business’s website. These results don’t happen by chance. Correct business information, positive customer reviews, and a solid SEO track record are what help bring a business there. The Knowledge Panel – This boxed area is a focused summary of the results of a search query. For example, search “Midlothian Web Solutions,” and you’ll find a box that includes business details, as well as pictures, reviews, and more. But you can only gain customers attention with a knowledge panel if Google is fully aware about your business. Google My Business takes you there. Set a reminder to periodically review your business details. Just like anyone can post a review of your business, anyone can also suggest a change or edit to your business listing. The goal is to crowd-source information to ensure the greatest accuracy; however, be aware that business owners are not always notified of changes. Use “Posts” to share business news, offers, sales, promotions, and similar updates. While the general social media rule is to avoid talking “me, me, me” because followers don’t like feeling like they’re always talking to a salesperson, remember GMB posts are not social media shares. These are posts that will be found by people already searching and curious about details of your business. Interest them. Allow them to get to know you. Photos, links, and calls-to-action can be powerful here. Hashtags, on the other hand, are a bit pointless in this space. Consider the Google My Business app for easy updating, posting, and message notifications, as well as for seeing your business listing’s analytics. Message notifications are a big bonus here. GMB has built a new way to connect directly with businesses, so be sure you’re business is aware of this new inbox. Of course, this only scratches the surface of what small businesses can do with Google My Business, but it’s good to know where to start. If you don’t have a massive web presence or ecommerce shop, that doesn’t mean you shouldn’t be paying attention. 78% of local searches actually result in purchases from brick-and-mortar stores. Don’t simply fear what the internet might be doing to your business. Use the internet’s tools to put your business ahead. Questions about your business’s presence the web? Contact Midlothian Web Solutions today. We’d be honored to be a partner in your success.